It’s week one of Mo’vember (it must be the header at the top of the page says so! ), and this year just to add the fun we’ve decided to add in the painting of a “Frostgrave” wardand to the mix. 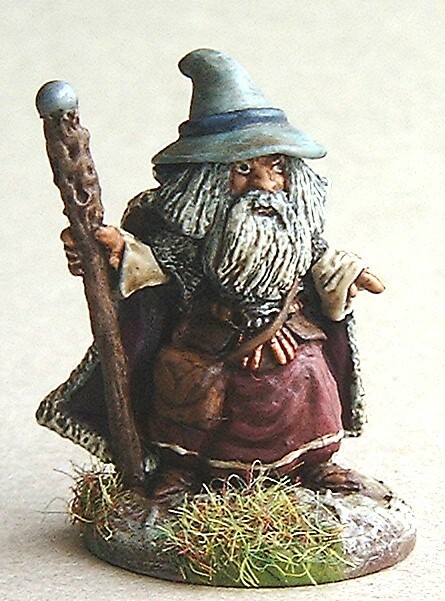 Now if you don’t know what “Frostgrave is, where have you been! This magical skirmish game set in the ruins of a frozen city pits groups of wizards and their hapless mercenaries against each other and the many dangers lurking in the enchanted ruins. Probably the biggest hit on the fantasy wargames scene this year it seems like everyone is busy painting up a group for this, so if there is a bandwagon lets hop aboard! Three of us are participating in Mo’vember this year (so far anyway) with Jez from over at “Carrion Crows Buffet” joining Simon “Fantorical” Moore and myself in our voyage to “Beardy Wierdiness”. The rules are simple all you need to do is paint up at least one miniature each week with some form of facial hair be it beard, goatee or moustache, and post it at the end of that week, one a week for the four weeks of November (see I said it was simple). So if anyone would care to join the fun just let one of us know and we’ll add you to the list and link in to your site. But that’s enough of the rules let’s get on with what I’ve painted for my week one submission. 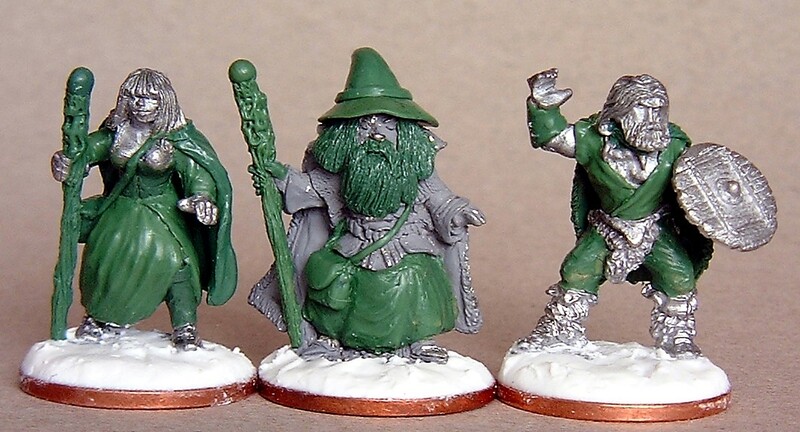 I thought I’d start with the three “Big hitters” from my Warband (and also the two most expensive, points wise), my wizard (free), his apprentice (200 points) and a barbarian (100 points). This was mainly due to the fact that I’ve been dying to get some paint on them from the moment I first converted them a few weeks back, from a Bob Olley dwarf and a couple of Copplestone castings cavemen (well cave people obviously). As these had already been based up ready painting it was simply a case of whipping them out for an undercoat of matt black and we were underway. I’ll describe how I painted my wizard (Bugbear Moonglum) and his apprentice (Stiorra) at the same time as they used basically the same colours. So I began by laying down an undercoat of dark red on the “skirt” sections of their robes this was then highlighted with pink burgundy. Next I tackled their cloaks so royal purple was used beneath plum for these. I undercoated all the areas that would be either wood or leather in chocolate brown, the former being highlighted in leather the latter dry-brushed in butternut. The exposed parts of their sleeves were next in coffee with a cream highlight. Bugbear then had the chainmail added to his shirt and Stiorra’s bodice was painted lupin and then highlighted with lavender. The flesh on all three of the figures was done in European flesh that was highlighted after the eyes were added with a mix of the same with and pale flesh. Hair next and Stiorra’s was chestnut with a dry-brushing of orange, whereas Bugbears was dark grey, light grey and a final dry-brush of white with a tiny bit of light grey added. His hat was blue grey highlighted with light blue and the band was done in royal blue. The stones atop their staffs were painted metallic blue steel and then dry-brushed with a little light blue. Finally I added Stiorra lips in pink burgundy, the fur on Bugbears cape in light grey/cream, and a few copper accoutrements to his belt in copper. When it came to my barbarian (Ragnar) I began by dry-brushing his axe and shield with chainmail before painting all of his wooden/leather and furry bits with chocolate brown, the leather highlighted with leather (funnily enough), the wood with butternut and the fur with chocolate brown mixed with a little butternut (this was later dry-brushed again with a mix of butternut and cream as I decided it wasn’t light enough). His jerkin was then added in khaki that was highlighted in the same with a little coffee added to it (I originally painted in his trousers in the same colours but then decided that this was a little too plain so repainted them in coffee highlighted with cream and then added stripes in deep bronze green highlighted with stone green (thank the barbarian in the rulebook’s blue and white striped trousers for this!!). His wristband was done in bronze and copper next before the quadrants of his shield were painted in coffee/ cream and aquamarine / aquamarine lightened with white. His flesh was then added as above and his hair is two different shades of sand (strange that to different makes of sand paint can be so different in colour and shade), and lastly I added the teeth on his necklace in cream. As usual this was followed by a coat of Quickshade before the bases were painted in my customary fashion. I was up till half ten on Wednesday night getting these ready for quickshading as to have any chance of getting them dry in time basing and varnishing for Saturday they need to be done by then (I must point out here that as I get up for work at 5.30 in the morning I like to be fairly early to bed). Only to find that by the time I’d got home from work on Saturday afternoon the light was so poor I couldn’t get a decent photo of any of the figures so it has had to wait till Sunday anyway. Oh well these things are sent to try us!! (And by god they do!). So till next week, face fungus rules, Cheers Roger. 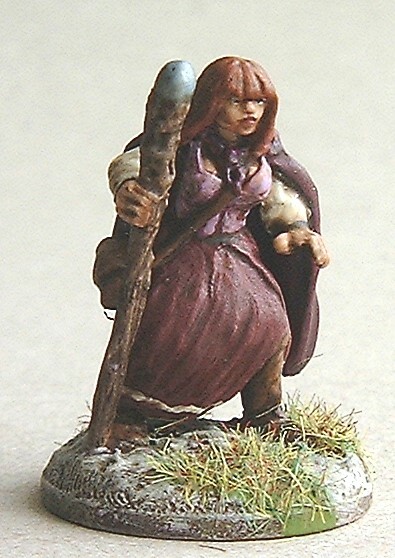 This entry was posted in 28mm fantasy, fantasy, Frostgrave, Mo'vember and tagged 28mm fantasy, fantasy, Frostgrave, Mo'vember. Bookmark the permalink. Thanks Jez, it was nice to get some colour onto them as I can see the colours I want to use on them as I’m sculpting them so it can be a bit of a pain waiting till you can finally paint them up (this is ten times worse when going figures to get cast up as the wait can be ten times as long!!). 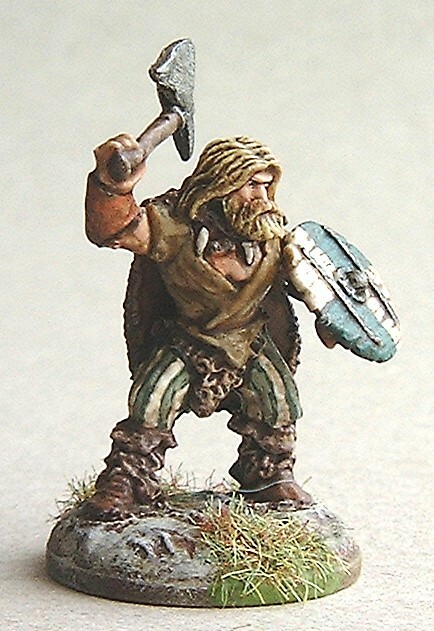 I think Ragnar is my favourite too, though I am pleased with Stiorra as well (her hands are a little on the big side but as I can blame Mark Copplestone for those I don’t mind too much). If your bar-bare-ian is less well attired than Simon and mine are we going to need a parental warning on your site? I am very easily offended you know. Thanks Simon, for some reason the banner picture has come out a bit pixelated, shame but oh well. No stripy trousers on your barbarian? go on, you know you want to! Looking forward to seeing yours and Jez’s efforts now, next week though I’ll be Frostgrave free as I plan on going a little deeper underground….. Many thanks Sableyes. sorry it took so long for me to moderate your comment, (busy at work). it’s never to late to reconnect you know, there is a whole world of fantastic miniature companies out there. By the way really cute picture of the dog, yours? I have two boarder collies myself. Never to late but I lack the time, energy and enthusiasm to get back into miniatures or MTG. 2 dogs, both jack Russell’s 🙂 had a collie, wonderful dog! Absolutely tremendous, I am so impressed by those that can make the green stuff do what they want. I would only ever class myself as an enthusiastic amateur, I can just about make a recognisable item from blobs and sausages, but my efforts really just put me more in awe of what the professionals can do.